Mandy Moore has fared better as an actress than as a singer. However, if her latest album, Wild Hope, is a harbinger of things to come, her music career shows considerable promise. Once a teen-pop princess who sang material virtually indistinguishable from her peers, Mandy Moore now sounds like a maturing young woman following her own intuition and muse. Her departure from prefabricated pop began with her previous album, Coverage, on which she interpreted songs by such accomplished singer/songwriters as Carly Simon, Joe Jackson, and Todd Rundgren. Subsequently, on Wild Hope, Moore had a hand in writing each song on the album. Much of Wild Hope, with its lush string arrangements and vocal harmonies, sounds refreshing and, at the same time, reminiscent of music made in the heyday of Laurel Canyon by Carole King and the Mamas and the Papas. Moore's voice, which has deepened with age, resonates especially well on "Can't You Just Adore Her?" and the sparse title track. By leaps and bounds, though, the standout song on this album is "Gardenia." Co-written with Canadian singer/songwriter Chantal Kreviazuk, it merely features sad piano chords and Moore's soaring voice. The lyrics seem abstract if read on paper, but in the context of the song they yield the overall theme of the album: self-discovery. "It's been good/Getting to know me more," Moore sings in the refrain. 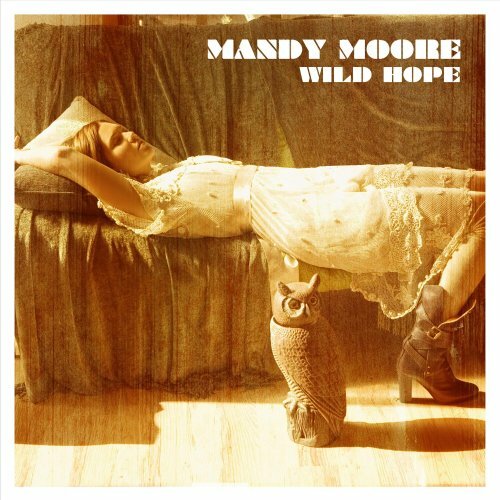 With Wild Hope, Mandy Moore successfully conveys her individuality and ambition through song, which should bode well for her future in music.